It's only a matter of time before The Real Driving Simulator appears on Sony's newest handheld. Gran Turismo PSP was years in the making. In fact, the game appeared alongside the system in 2004, but didn't officially debut until 2009. Fans waited five long years to get their hands on a portable GT, only to discover a game devoid of online multiplayer and a Career mode. The cars were there, as per GT tradition. 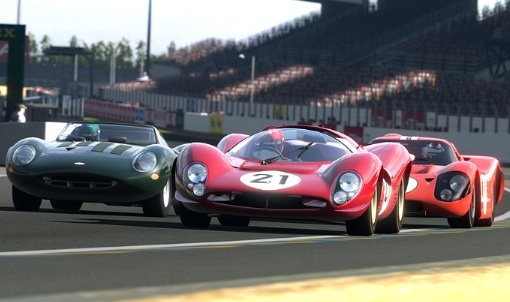 Users could race over 800 painstakingly recreated vehicles, but that didn't necessarily prevent critics from firing barbs at Sony and Polyphony Digital for releasing the most watered down Gran Turismo in history, which ultimately resulted in the game becoming the lowest rated in the entire series. That said, the PSP edition was not bad by any means, just missing important features, all of which should appear in the unannounced but inevitable PlayStation Vita follow up. 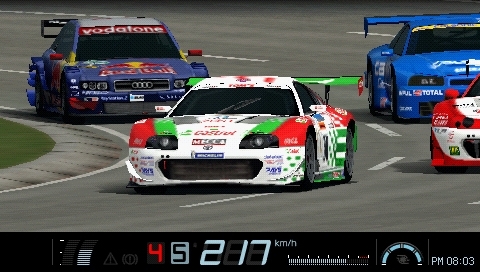 Gran Turismo PSP failed to live up to the series' visual standards. Gran Turismo Vita should be nothing short of incredible. First, Sony's pint sized powerhouse has the processing muscle to compete with the likes of PlayStation 3, offering a near photo realistic experience in your hands. Second, Polyphony will have no trouble cramming the game with content, including online play, that aforementioned Career mode and plenty of other additions. On top of that, the system's plethora of features will be put to great use. We already foresee using the second analog stick to examine a car's interior in cockpit view. For that matter, the same can be said of the rear touch pad, which may serve a similar function. We expect high end graphics from Gran Turismo Vita. The touch screen, meanwhile, would allow players to easily navigate menus, and the Wi-Fi/3G support definitely opens the door for downloadable content moving forward. Naturally, we hope Polyphony doesn't take another five years to put Gran Turismo on PlayStation Vita, but like most of the company's games, it should be worth the wait.